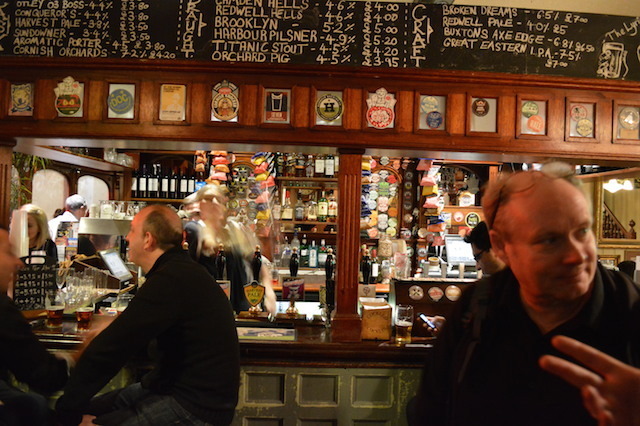 Soho is noted for its pubs, but it's not really a happy hunting ground for unusual ale. Most of the bars hereabouts are chained to mainstream suppliers, and it's rare to find anything you haven't seen a hundred times before. Thank the hop god, then, for The Lyric. 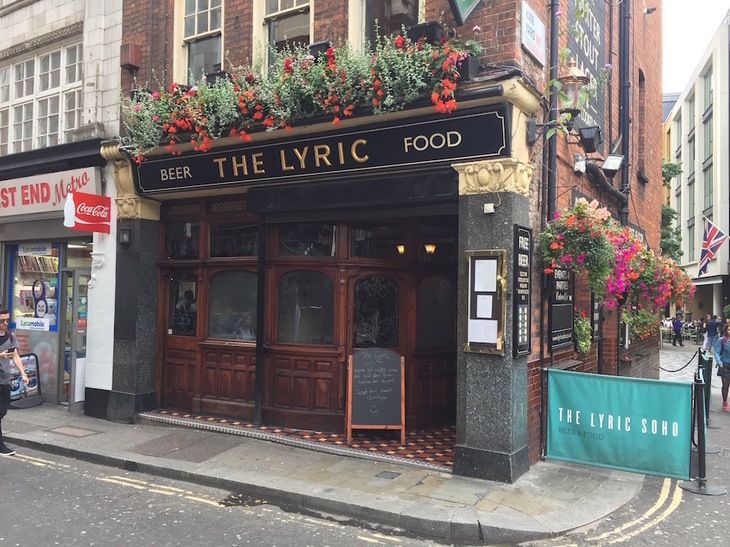 It looks and feels like a typical Soho boozer — small, dark, a bit cramped, a few period features such as the glazed tiles on the entrance. 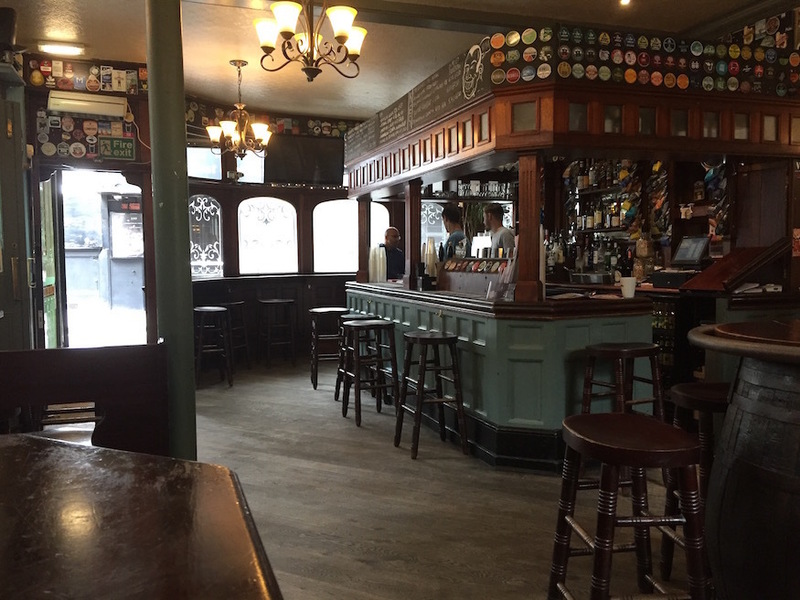 But the bar stocks the best range of beer in the area (six on draught, a whole platoon of kegs, who can say how many bottles), putting it up there with the Harp in Covent Garden as a rare West End refuge for the seeker of rare ales. A refurb a few years back and the change in focus have brought a truly welcome addition to the local night scene. An upstairs dining room serves unfussy British fare.